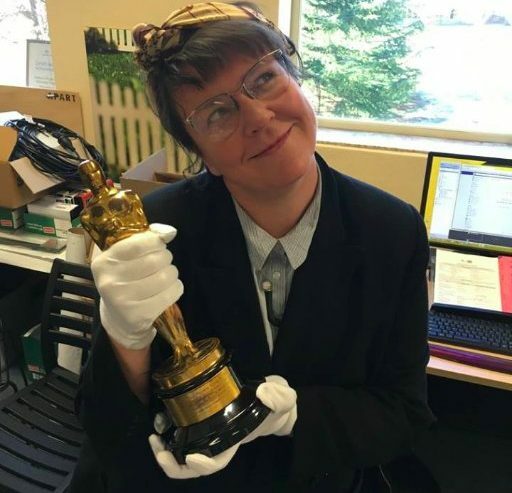 Dr Louise Sheedy produces public programs for the The National Film and Sound Archive of Australia and has written on film for various publications. Her PhD from Melbourne University developed a theory of popular radicalism in documentary cinema. Well, of course I’m going to recommend this one. But really – it’s truly delightful. Colourful, playful, and all the other *fuls. The NFSA’s careful restoration makes it all the more vibrant and delicious. The perfect closing night film, and the opportunity to hang with Armstrong makes this session un-missable. We’re chuffed to help this jewel of Aussie cinema close this remarkable festival. If you’re a Bruno Dumont fan, you know this is compulsory. If you have no idea who he is, this is the perfect baptism of fire. JEANETTE will make you uncomfortable, confound, enchant.. all the things that rarely happen simultaneously on the big screen. I’m loving this line from a Variety review: ‘a blasphemous assault on French history, religion, and the musical genre.’ Yippee! Is astonishing, it’s weighty and it stays with you hours after the screening. It creeps up into your brain and sits there, like an unwelcome stranger at a party who ends up holding court in the living room, dazzling. This is a horror film steeped in the biopolitics of WWII and can be enjoyed on a range of levels. It’s an aesthetic triumph, and eerie AF. Number 1 on the excitement list for me. Walks a favourite tightrope across ‘accessible’ and ‘boundary pushing’ filmmaking – dancing on the edge of comprehension and enjoyment whilst readjusting our ideas of cinematic storytelling. The ecstatic offerings of this festival darling come from subversive, queer and blasphemous brush-strokes on oh-so-tenderly photographed Portuguese forests and birdlife. Positively dreamy. A rare opportunity to see this visually explosive treat. A gender-bending fever dream shining emerald disco lights onto the tragically under-explored genre of the mermaid stripper musical. Go see this and then float into Starstruck and the week that follows will be covered in glitter. Brisbane, you are lucky sons of guns.